Real Madrid superstar Raphael Varane, who has been a long-term target for Manchester United, is reportedly seeking a new challenge in the summer. Massively positive news for Manchester United as one of their primary long-term defensive targets, Raphael Varane, could finally be available for a transfer in the summer transfer window. The Frenchman is reportedly seeking a new challenge and could decide to leave Real Madrid in the summer, according to French publication L’Equipe. The report states that the World Cup winner is currently re-evaluating his future at Real Madrid, where he has spent almost eight years. One of the first names on the team sheet when fit and available, the defender has enjoyed fruitful spells under Jose Mourinho and Zinedine Zidane, both of whom rated Varane very highly in their books. 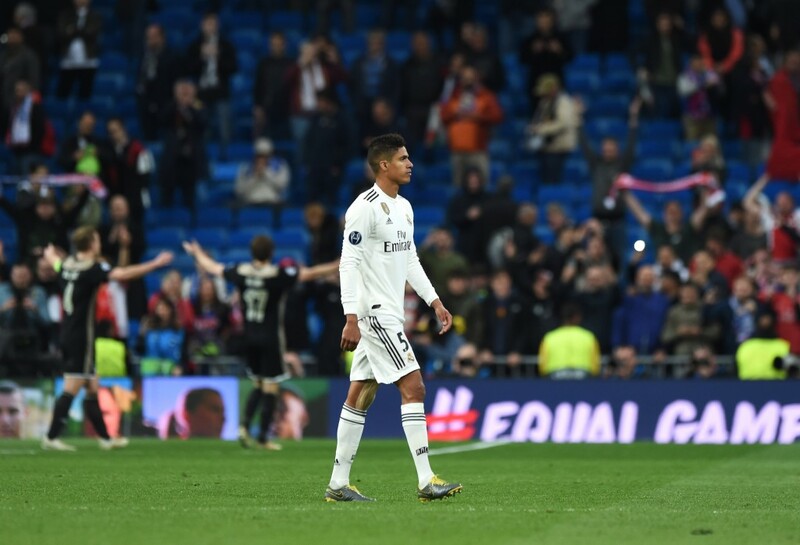 After an exceedingly successful spell under Zidane, when Varane got his hands on three Champions League trophies among other titles, the centre-back has underwhelmed a bit this season as Real Madrid themselves struggled in all competitions under different managers. One of the most coveted defenders in the footballing scene right and all of 25, Varane has the world at his feet. The centre-back has achieved almost everything at Real Madrid, from winning Champions Leagues, Club World Cups and UEFA Super Cups to winning the La Liga, Copa del Rey and Spanish Super Cup as well, with the World Cup win in 2018 the icing on the cake. Despite the fact that Zinedine Zidane is back at the helm, the defender is reportedly considering his future at the club. While he is only 25, Varane has spent eight years at Real Madrid and, as mentioned earlier, achieved everything there is at club level. The defender now wants a new challenge and is sizing up his next steps in what could be an eventful summer for the 25-year-old. Manchester United remain one of the primary long-term suitors for Varane. Jose Mourinho was interested in bringing his ‘discovery’ to Old Trafford when he was managing the red half of Manchester. 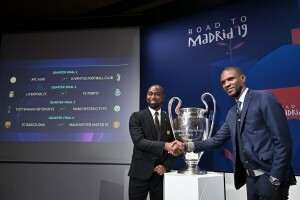 While Ole Gunnar Solskjaer has steadied the Manchester United ship to an extent, the two-legged PSG tie did expose the shortcomings in the back four, something the club will have to correct if they are to challenge for trophies next season. Victor Lindelof may have locked in one of the two places at centre-back. But, the lack of consistency shown by the likes of Chris Smalling, Eric Bailly and Phil Jones is cause for worry and definite investment in the said position in the summer. Other names like Kostas Manolas and Toby Alderweireld have been linked. But, the Real Madrid defender could fit the bill perfectly at Manchester United. Agile, towering and technically adept, the 25-year-old could strike a great partnership with Victor Lindelof. It will be interesting to see if Varane does end up moving in the summer, with Real Madrid fans likely to hope that Zidane will be able to convince his compatriot to rethink his current stance on seeking ‘a new challenge’.